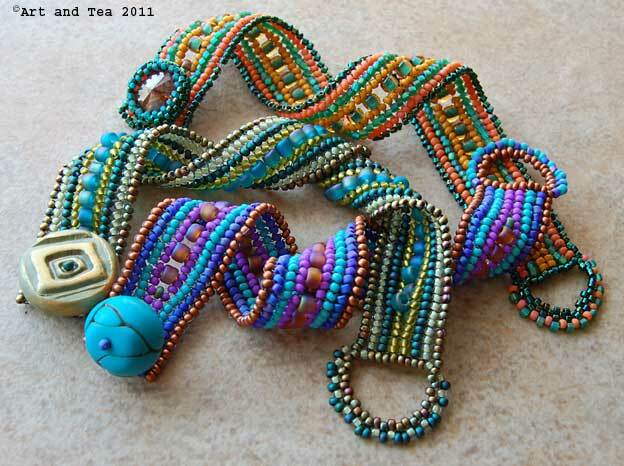 This entry was posted in Beads, Books, Color, Creativity, Inspiration, Jewelry, My Studio, Photography, Polymer Clay and tagged herringbone bead stitch, herringbone beadwork, herringbone bracelet, Ndebele bead stitch, seed bead bracelet, seed bead jewelry. I love the blue and purple one! Those bracelets are so full of color,Karen. Beautiful! I love the closures you chose for them too. The only herringbone I have done was the time you showed us how to make herringbone earrings. I loved those. Have a wonderful time in Michigan with your family. I know you will have a ball at the bead shop. Gorgeous, Karen ! Have a wonderful time in Michigan, can’t wait to see your goodies from the bead store ! Thanks Bobbie! 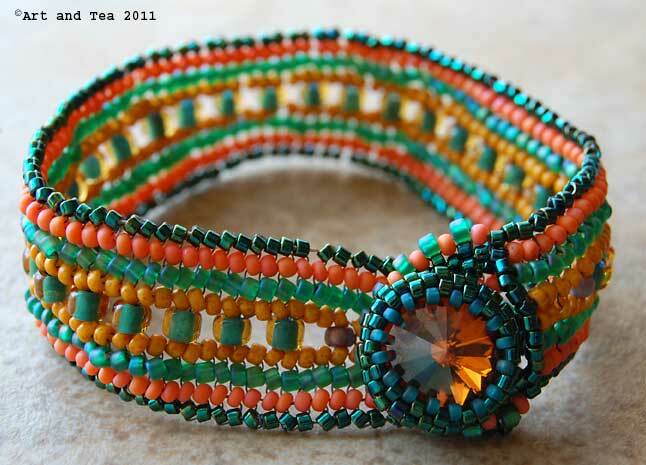 For those of us still into beading, we’ll have to have another beading day one of these days! Thanks Dora, I’ll have to post some pics! Lovely bracelets Karen. 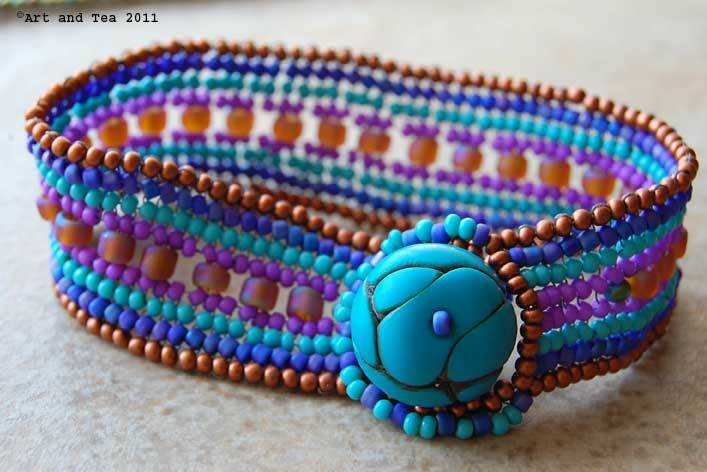 I’m always in awe of artists who do bead work, especially yours. It is one art form that I can’t get my hands to cooperate with. Nice job on the polymer focal buttons too. Have fun in MI. Enjoy the homemade noodles at Frankenmuth.